Everyone has likely heard of sun tea, if not sampled the drink. The idea is to put a few tea bags out on a hot sunny day to brew. How many have heard of car tea? Likely none because I think I just invented it today. 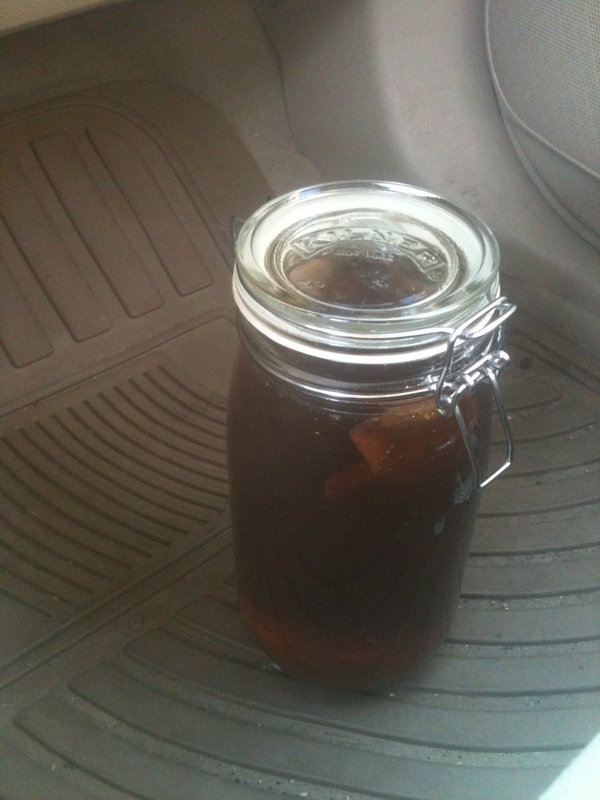 Brewing your iced tea in a car can make sense in many circumstances. For example, if one lives in a city and doesn’t have private space, or if one lives in a colder clime and wishes to take advantage of the warming greenhouse effect of car windows. So what do you need to make some car tea? Simply add the tea bags to the water jug and sit in your car for a few hours. You can adjust the temperature by placement of the jug, or rolling down windows. After it’s sufficiently brewed, remove tea bags, stir in honey, and serve over ice cubes in your water bottle. 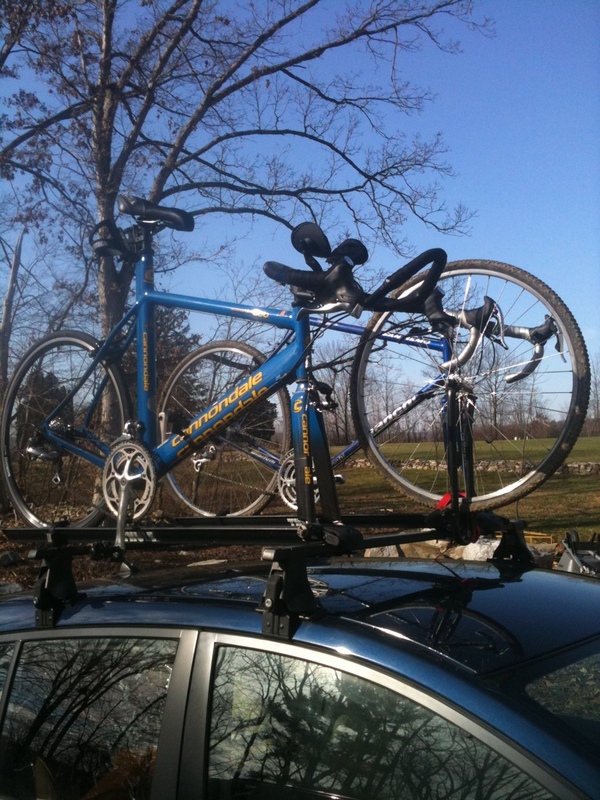 ….rack your tri bike next to your ‘crosser!